Originally published in 1967, Ngugi's third novel is his best known and most ambitious work. 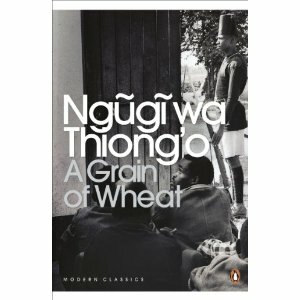 A Grain of Wheat portrays several characters in a village whose intertwined lives are transformed by the 1952-1960 Emergency in Kenya. As the action follows the village's arrangements for Uhuru (independence) Day, this is a novel of stories within stories, a narrative interwoven with myth as well as allusions to real-life leaders of the nationalist struggle, including Jomo Kenyatta. At the centre of it all is the reticent Mugo, the village's chosen hero and a man haunted by a terrible secret. As events unfold, compromises are forced, friendships are betrayed and loves are tested. Kenyan novelist and playwright Ngugi wa Thiong'o is the author of WEEP NOT CHILD (1964), THE RIVER BETWEEN (1965), and PETALS OF BLOOD (1977). Ngugi was chair of the Department of Literature at the University of Nairobi from 1972 to 1977. He left Kenya in 1982 and taught at various universities in the United States before he became professor of comparative literature and performance studies at New York University in 1992.